Housing costs can take up a large chunk of your monthly budget, but there are expat havens around the world where your rent could be $500 per month or less. When it comes to getting more bang-for-your-buck, we have found five places where rent is so affordable, you’ll have money left over to indulge in the finer things in life, like travel, eating out, and entertainment. Read on to discover great places to rent in Malaysia, Colombia, Cambodia, Ecuador, and Portugal for around $500 a month. Penang is a small tropical island off the west coast of peninsular Malaysia. It is a former British colony, so English is widely spoken. The population is just over 700,000 with the majority living in its capital, George Town. Penang has been one of the top expat destinations in Malaysia for years. Here you’ll find everything from beaches and shopping to great food and a vibrant culture. You can go shopping at Gurney Plaza, or Queensbay Mall, and find the same high-end stores you would in the U.S. You can walk through the jungle, laze about on a secluded beach, take a food tour and a cooking class, or even drive a few hours to visit an Orangutan shelter. Many expats find their homes on the island’s north side, where the housing options are abundant in the coastal towns, as most expats want to live near the water. In Batu Ferringhi, rentals are a bargain. Located in the middle of Colombia, Medellín is tucked into a valley surrounded by the Andes Mountains. 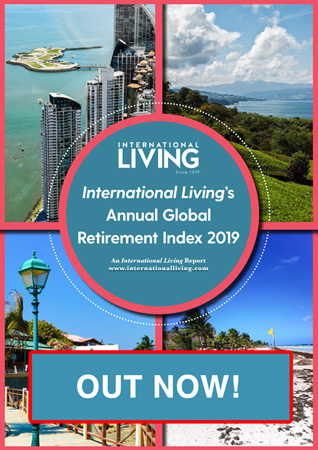 Known as the City of Flowers, Colombia´s second largest city is attracting more retirees who want to live an outdoor, active lifestyle in a city that has near-perfect weather, affordable healthcare, good-value real estate, and a lower cost of living than many cities in the U.S. 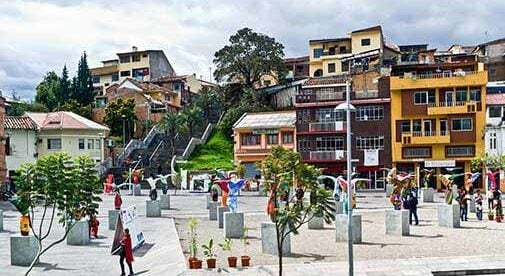 Although the greater Medellín area has nearly 3 million people living there, the city really feels more like a lot of neighborhoods connected to each other by green spaces. Accented with green parks, flowers that are always in bloom, gurgling brooks, and hundreds of birds in brilliant colors, Medellín feels smaller than the metropolis that it is. Once an economist for the State of Iowa, Joseph Hogue was attracted by the many charms of Medellín. He lives in the Floresta section of Estadio, a quiet upper-middle class neighborhood where his cost of living is much lower than back in the U.S.
Sihanoukville is the number one coastal resort in Cambodia. This is due to the sheer variety of undeveloped coastline, with around 10 white sand beaches and over 20 virtually undeveloped islands available for visitors to enjoy. Attracting hundreds of thousands of tourists and expats each year, Sihanoukville has blossomed during the past decade into one of the top destinations in the country after Phnom Penh and Angkor Wat in Siem Reap. It is a beach town which has something to offer pretty much everybody, whatever your budget range may be. English is widely spoken as the second language of choice for locals thanks to the demands of the booming tourist industry, making communication easy. And, there is no shortage of variety of things to do and see here. Texan native, Roger Carter, lives in a large, two-bedroom apartment that costs $350 a month. From here, he can enjoy both the city and the coast. Cuenca, Ecuador’s third-largest city and the economic center of the southern sierra, has long been known for a rich intellectual, artistic, and philosophical tradition, that matches its colonial architecture. The city is famous for its colorful festivals, distinct food, and breathtaking scenery. Because of its history and state of preservation, Cuenca is one of Ecuador’s three UNESCO World Heritage Trust sites (the others are Quito and the Galapagos Islands). Cuenca has been the fastest growing city in Ecuador since 2000, and now boasts a population of 580,000. Cuenca’s growing expat community is currently estimated to be around 5,000. As the number of foreign residents has expanded, so have goods and services catering to North American tastes. Originally from western New York, Pat and Rick Jackson wanted to retire at 55 and they were able to meet their goal thanks to Cuenca’s low costs. “Living in Cuenca costs about 25% of what it cost us to live in Philly,” says Pat. They pay just $500 a month for their two-bedroom, two-bathroom condo in the Puertas del Sol neighborhood. It’s a 10-minute, $2 taxi ride, or a 25-cent bus ride into the town center, and a 12-minute walk to Supermaxi, a large North American-style grocery store. On the coast, 90 minutes south of Porto, lies Figueira da Foz, whose name means “river mouth’s opening”. The river referred to is the Mondego, which flows from culture-rich Coimbra, about 24 miles to the east. Figueira has an interesting makeup, with a history of shipbuilding, fishing, and the drying of salted Norwegian cod. In Figueira you will find parks, palaces, a municipal museum, and more than a dozen beaches including Europe’s widest urban stretch of sand, earning it the nickname the “Queen of Beaches.” There is also a casino located on the beach. The city has a solid expat community where everyone benefits from the fine Mediterranean climate of mild rainy winters and warm dry summers—the annual average temperature is 59 F.
“For $393 a month you could rent a renovated two-bedroom apartment here with a fireplace, and views of the river and ocean,” says IL Portugal Correspondent, Tricia Pimental.